We have been pretty lucky so far with mechanical and gear issues. As a summary of our first three months riding (and over 5000km) we have basically had only one tire rupture (and a bit of panic with stupidity of bike shops in southern NZ), one break lever that did not want to come back to its normal position (the WD40 solved that problem) and the dumbest fall that damaged a part of our handlebar. If anyone has been keeping tally, our handlebar has been repaired twice since it met the ground in February. 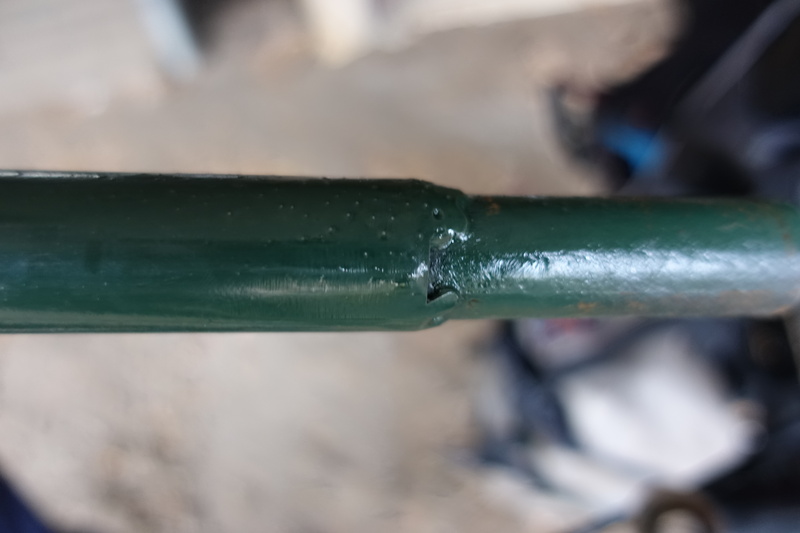 Although the first repair was a quick fix and held throughout the rest of New Zealand, we found that the two tack welds were no match against the elements of Tasmania. When we went to repair the handlebar a second time in Melbourne (also called Cedric cycling from a recommended person to another recommendation for 60km around the city on our friend Anny’s bicycle – each person not able to do the adequate welding and sending to the next one), we found out that in addition to the two insufficiently small welded spots, the first welder had overheated the aluminum addition, making the rod structure questionably thin and weak in some places. We should simply have kept in mind that aluminum and welding simply don’t work together! 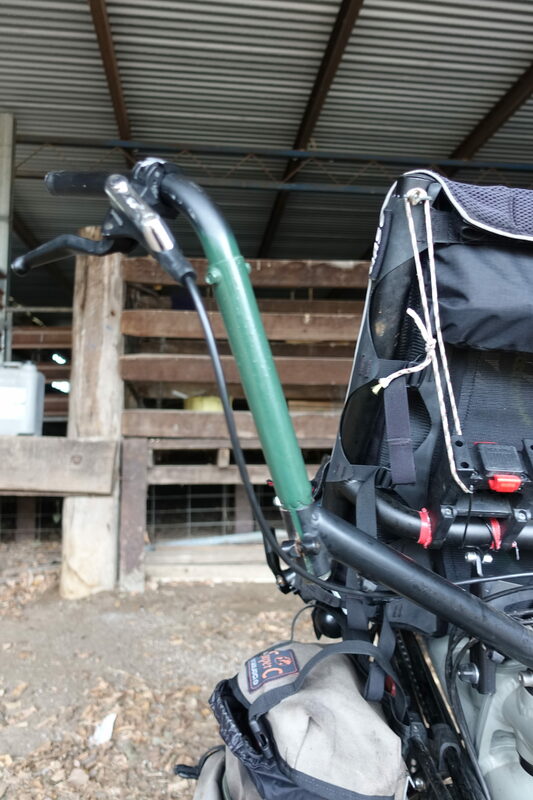 Coming out of Melbourne, with a nicely welded handlebar, top shiny looking, we were sure that the piece would last another month until we got our replacement in Brisbane – but it didn’t. 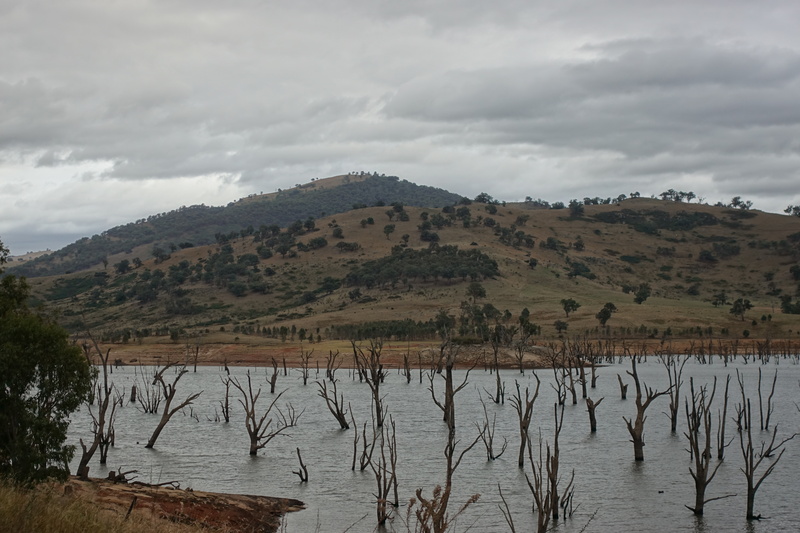 Cédric and I left Yackandandah on Sunday in a light rain and were headed for somewhere on Lake Hume. The weather had lightened by lunchtime, so we decided to stop at a park along the way on the side of the lake. 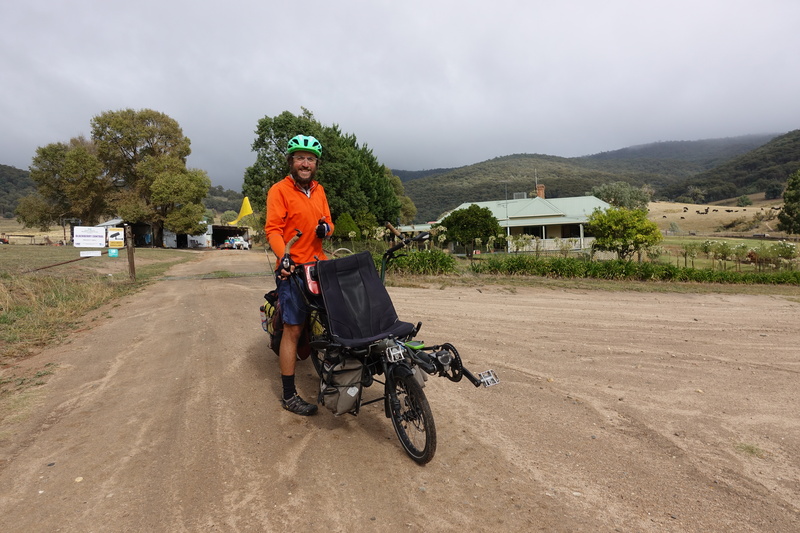 As soon as we sat down and started to make sandwiches, Cassie noticed that a slight breeze and with the addition of the gentle slope of the parking lot it looked like a precarious situation for our bike, so she asked Cédric to check on its stability. About a minute after Cédric said that everything was fine, another light breeze came down the hill and knocked the bike over. On its weak side. 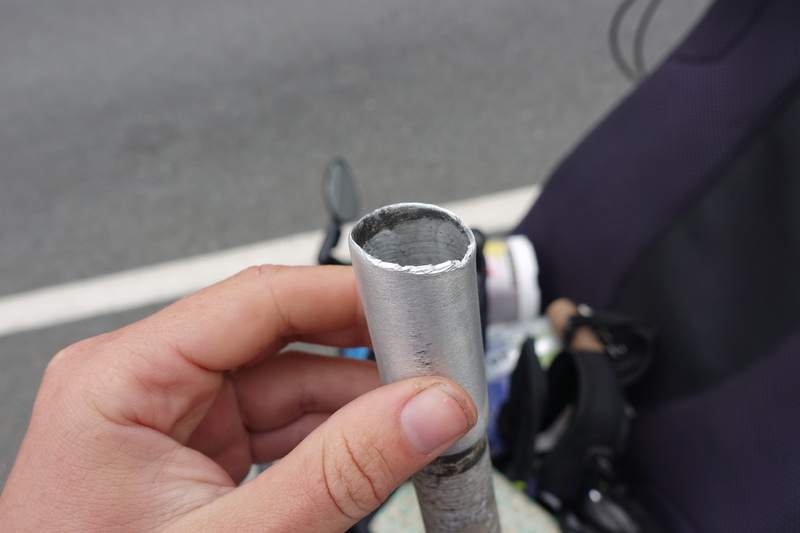 As soon as we picked up the bike, we noticed that once again, the handlebar, the Achilles’ heel of our bike, snapped where it was at its weakest. Completely demoralized, far from anyone and anything that could possibly be a solution we stood for 30min wondering what could we possibly do now (the first 10 minutes included Cassie stress-eating a bag of Doritos in silence while watching Cédric kick the ground continuously muttering about how stupid he was)… a few fruitless calls trying to get towed after (Sunday evening not helping), we decided to walk back towards Albury (20km away) somehow pushing the bike and hoping that some big car would stop to help us (Australians tend to only have large cars, and a lot of cars are somehow towing large trailers attached to them, most of the time empty…). After only a few hundred meters, Cedric not imagining that this could be a solution (we had no idea if someone could repair anything in Albury – it was just the largest city around), we did a few modifications put the handlebar in the opposite direction, and smaller sized (the original got shortened twice…) so that the riding position would be optimal for someone 1m50. Probably very aerodynamic, but not quite the most comfortable position! The idea was simply that we were about as likely to find someone repairing the piece going forward into agricultural areas as going backwards into a town and having to convince some car repair shop. That handlebar is seriously the simplest bent aluminum rod possible but amazingly also causing so much trouble! The next 30km were not with the best mood (or the best back pain for Cedric), so when another rain shower was about to start shortly before 5pm, we looked at the first farm of the side of the road to pitch the tent for the night. That happened to be one of the greatest decision in many, many kilometers! As Cassie asked about a dry spot to pitch the tent, we were instead offered to sleep in a sheep shearing shed transformed into both a party-barn and man-cave (Ken’s bar (Baa) – aka the Bush Hilton), welcomed with a dinner of locally raised food (and for the first being confused to have to choose between lamb, beef or chicken – and not just “open the can of premade stew in the pannier”! ), and after dinner the most amazing suggestion of the day: “We’ll check your bike, I’m sure we can fix that with farm-mechanics!”. So we went to what we now know as the best repair barn of Granya to figure out a way to “make the handlebar great again”. Some hunt into the scrap metal pile behind the building, and not just one but two methods could solve the problem: method 1 from Charlie (the son) -> get an old handlebar (straight 22 mm ones are not so usual on new bikes anymore and bend it. Not the easiest method, without a pipe bender, but the result (and the use of steel instead of aluminum) was something rideable enough. Looking at the pipe while in the bike gave it a more of a shabby-chic, ‘agricultural’ look. Method 2 from Ken (the dad), remove all the previous welded pieces and force the remains of our handlebar into a slightly larger steel rod on top, force another smaller 22mm steel rod at the bottom, weld the steel rods together, bolt the aluminum rod into the steel one, paint in all over in green – and the result is awesome! It has worked for the last 2 weeks and 1000km and it looks like a robust construction for some more time! 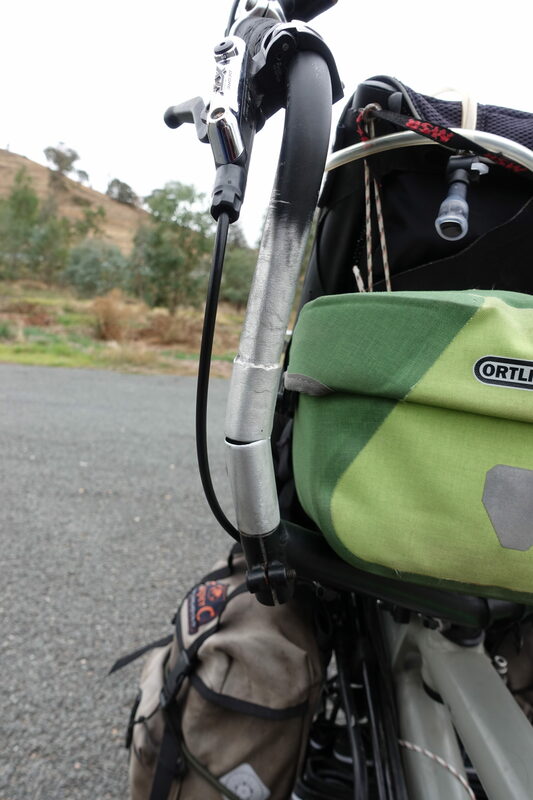 We kept Charlie’s part though – as a back up, we really do not want to hear about handlebar issues again. Looking back, we are still gobsmacked about how a family could be so open and welcoming to complete strangers just looking for a dry place to camp. 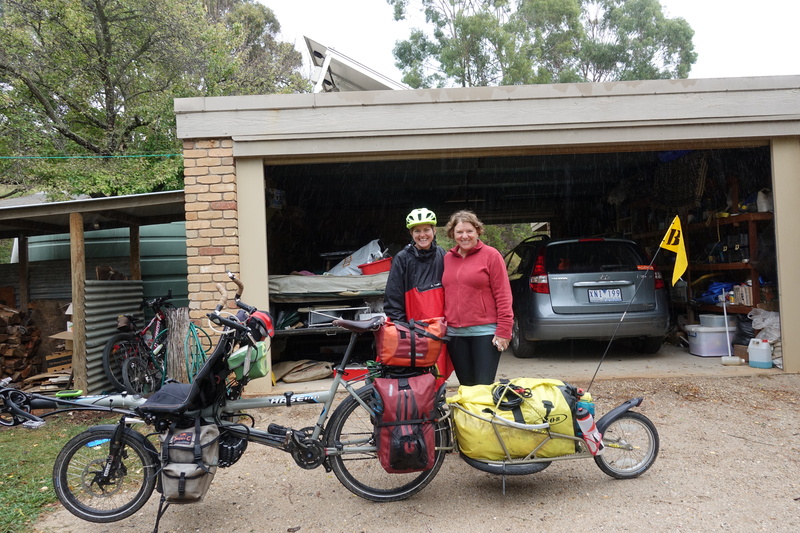 We would like to thank them once again for fixing our bike and our mood – and enabling us to continue our journey north. Hello, nous translate on tour blog, si Bad…. Bonjour, pas sûr de comprendre le commentaire… le site peut être traduit entièrement en n’importe quelle langue sur la partie droite de la page “select language”. Google translate est devenu plutôt pas mauvais au fil du temps! The new piece of handlebar is expected to arrive on 07 May with a VIP shipping: directly to the customers. Hoping the current one will sustain the remaining 600 kms. 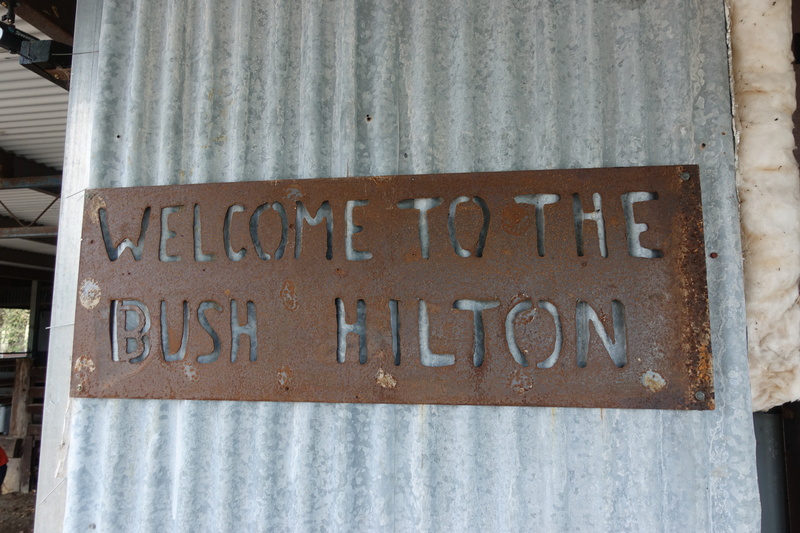 We look forward to seeing you there after a 32 hours trip…. We will be very glad to have the original part with us! But we are planning to keep our current steel handlebar too… it looks like a sturdy and very robust construction that’s going to last longer! Probably more times than not, when I don’t listen to my other half , or ignore what she says all together, it is then that I Iearn the hard way. Glad to hear you are all OK, and back on the road again! Love you two. That got us stopped max 30min in total, but i had to ride half a day in a completely bent position. I would have continued a week or longer like that… keep going forward! 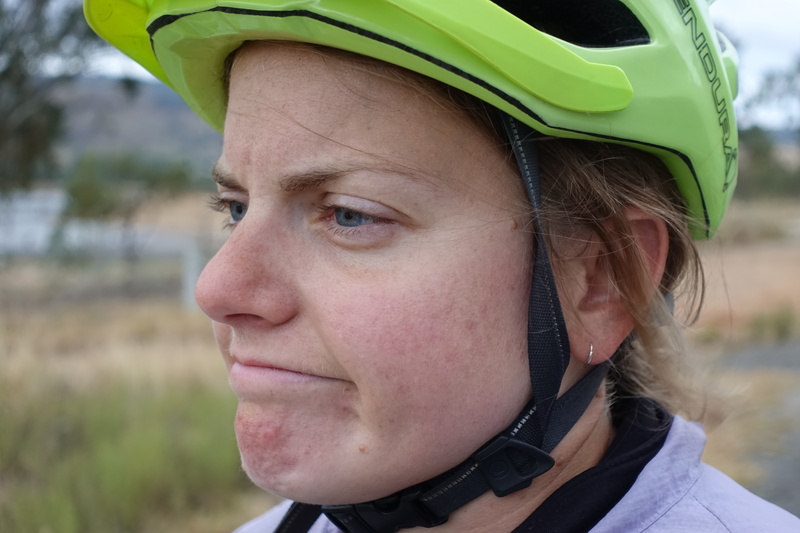 That was particularly raging as i had just finished suffering from back pains a few days before (a small hernia caused by riding our friend’s bicycle around Melbourne: 60km on a kid size frame). I however seriously thought of carving a new handlebar in the evening inside the tent, in some piece of wood. You should have painted the whole bike in green ! 😀 Nice fixing anyway ! On a papa & maman qui nous mettent un peu la pression en débarquant à Brisbane début mai… et maintenant grace à Air-France leur vol est avancé deux jours plus tôt. Il n’y a quasiment pas eu de jours de repos depuis 3 semaines (une demi journée seulement à Sydney) et on pousse maintenant au-dela des 90km/jours. Ca parait pas sur la carte mais l’Australie est un peu gigantesque, les montagnes dans le Sud-Est vraiment pas plat, et pour éviter les voitures on roule pas mal sur pistes soit de rando soit pour vehicules incendie dans les parcs nationaux ou sur la côte (en meilleur état qu’au Zimbabwe, mais on est autour des 10km/h dessus).